A key figure in the development of digital technology has his achievements, if not his personality, burnished in this enlightening biography. 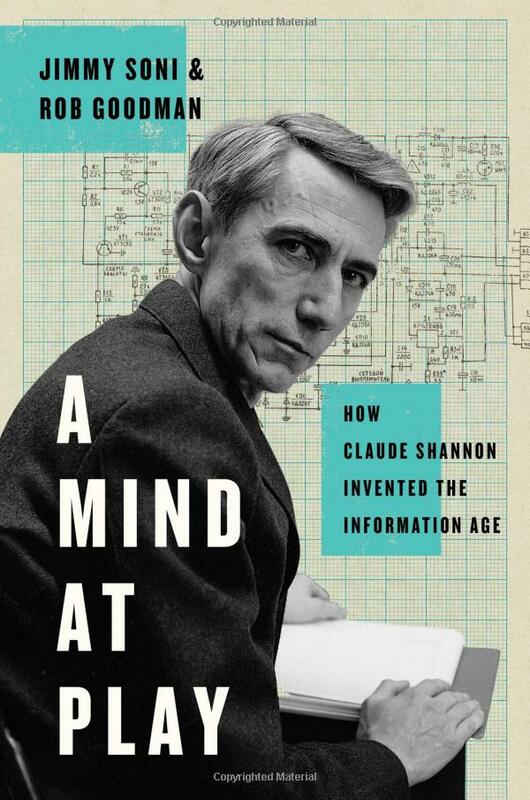 Journalists Soni and Goodman, authors of Rome’s Last Citizen, explore Claude Shannon’s breakthroughs as a scientist at MIT and Bell Labs in the 1930s and ’40s in electronics and telecommunications. His noteworthy discoveries include a way to rationally design circuits using Boolean algebra, and information theory, which understands communications as bits and shows how to compress them and remove noise—methods that underlie DVDs, the Internet, and much else. The authors’ rundown of the science behind these advances, probing everything from the structure of language to the transatlantic telegraph, is lucid and fascinating. Unfortunately, Shannon’s retiring demeanor and uneventful life don’t make for a dramatic narrative. The authors’ interpretation that Shannon’s mental “playfulness” stimulated his scientific creativity also seems misconstrued: his serious accomplishments were achieved before the age of 33, when he was working at assigned tasks; during his later life he pursued various interests—whimsical robots, chess-playing machines, a scientific study of juggling—but achieved nothing noteworthy. Still, Soni and Goodman open an engrossing window onto what a mind hard at work can do.